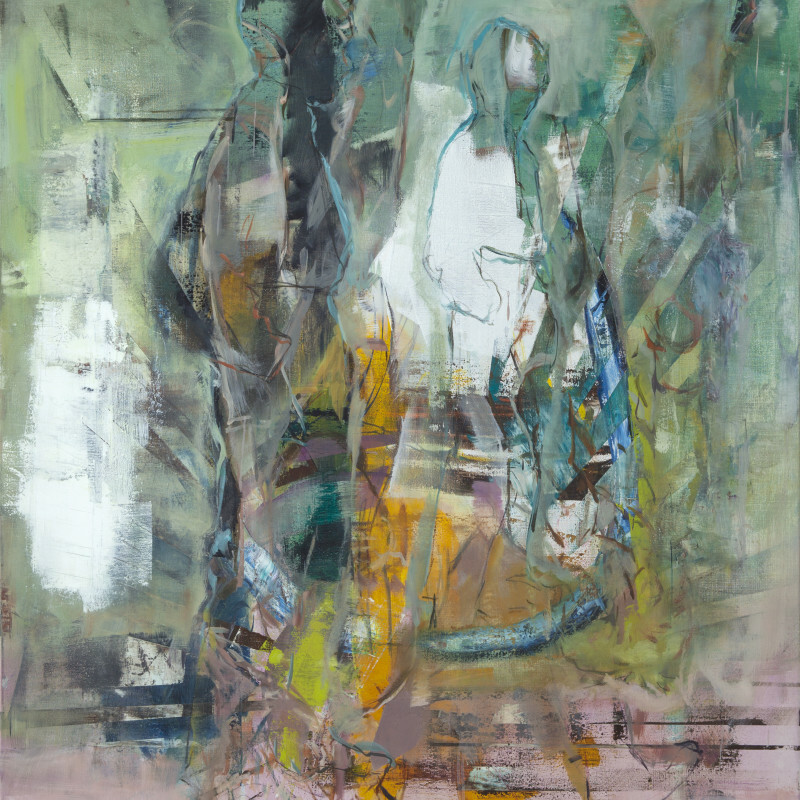 ‘Just like Honey’, the artist’s second solo show at rosenfeld porcini, features a selection from Muntean’s latest body of work comprising of oil paintings on canvas, oil paintings on paper attached to canvas and framed collages, which act as the initial inspiration for his compositions. The title refers to the pure pleasure to be gained from entering his artistic universe, with its richness of colours, lusciousness of paint and variety of brush strokes. A new book ‘Sonic Wave’ will be published in tandem with the exhibition, tracing Muntean’s career over the last five years. Robert Muntean’s paintings have an umbilical relationship to music. Just as the improvisatory quality of the rhythm reveals an endless sense of possibilities, so does the artist’s paintings. The music of the groups that crucially influenced Muntean’s idea of art the first disc of Jesus and Mary Chain, The Swans and Sonic Youth - oscillate endlessly between melody and dissonance in the same way as the artist’s practise. One has to work to enter their musical world; similarly, Muntean’s style eschews any easy path into his paintings denying us an easy, linear narrative.